Millions visit the Roman Coliseum every year, many of them expecting to see where Christians were thrown to hungry lions. But Coliseum guides quickly dash those expectations, pointing out that facts don’t support the gory images of Renaissance paintings and late night movies. Roman Emperor Vespasian ordered construction of the Coliseum in 72 A.D. The nearby Arch of Titus, erected at about the same time, shows Roman troops, under the command of Vespasian’s son Titus, bringing golden treasures looted from the Jewish Second Temple in 70 A.D. back to Rome. Scholars believe these treasures funded the building of the Coliseum. Titus also brought 20,000 Jewish slaves back to Rome, many of whom were forced to build the Coliseum. When completed in 80 A.D., the Coliseum was a powerful reminder of the public benefits of Roman military power. The four-tier oval Coliseum included numbered seats for at least 57,000 spectators and a long-gone retractable cover. Coliseum entertainment typically involved fighting and death. During the inaugural games, 9,000 animals from around the empire were reportedly killed. Gladiators, both prisoners seeking freedom and professionals seeking glory, fought to the death unless the “Editor,” often the emperor, granted them mercy. What about the Christians and the lions? Some evidence suggests that Romans executed early Christians by exposing them to dogs or other unspecified “wild beasts.” The tradition that the beasts were lions was probably influenced by the Biblical story of Daniel and the lions’ den. But scholars have found no reliable evidence linking Christian deaths of any kind to the Coliseum. 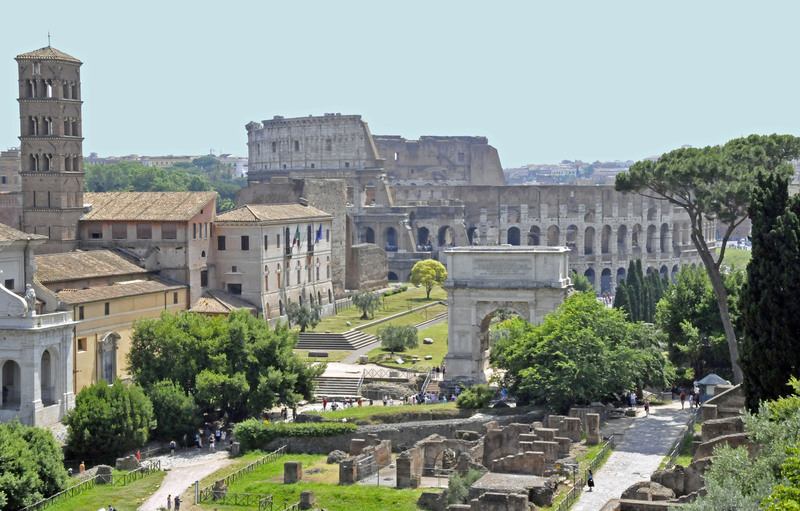 The first hint of a connection came in the sixteenth century, when Pope Pius V suggested to Christian pilgrims in Rome that sand from the Coliseum floor contained the blood of martyrs and could be taken home as a holy relic. When visiting the Coliseum, don’t expect to see where the lions ate the Christians. Instead, expect to get an understanding of the horror first century Jews experienced when treasures of their holy Temple were used to construct a pagan monument to fighting and death. Even today, the Talmud forbids Jews from walking under Titus’s humiliating arch. Previous ArticleIs martial arts a real sport? Next Article Is martial arts a real sport?